After a fantastic first two days in Split, Croatia, Ultra Europe continues Sunday for the festival’s final act. 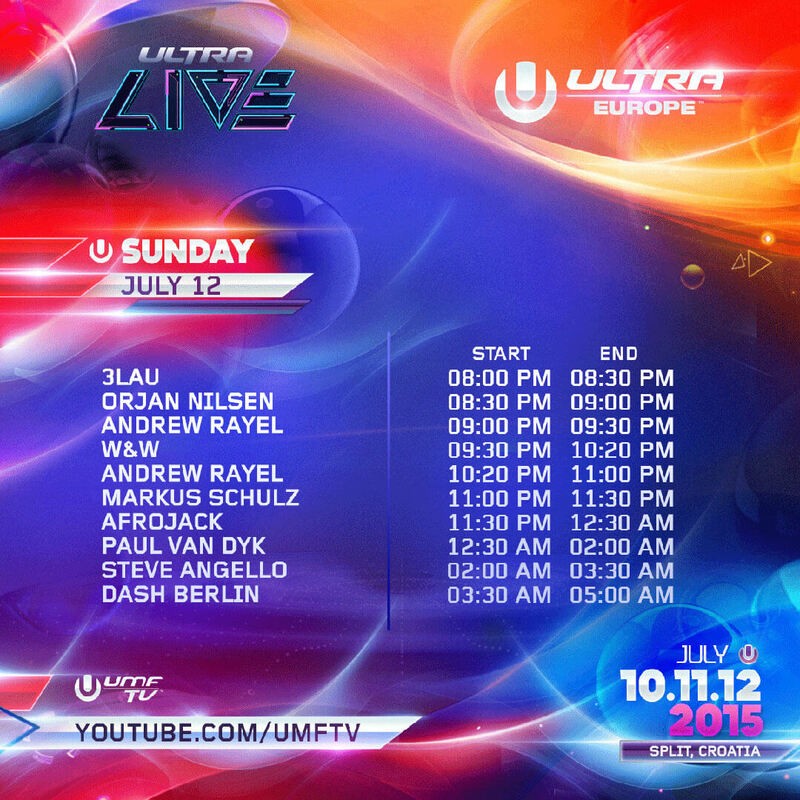 The coverage will be live streaming today through YouTube via UMFTV, and will be a can’t miss for any electronic music enthusiast! Be sure to check out the stream to witness live coverage from some of electronic music’s finest talents such as Steve Angello, Afrojack, W&W and many more!